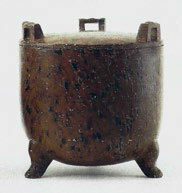 A cylindrical vessel with cover, supported on three short, bowed feet. The vessel is carved from a single block of steatite. The straight sides are engraved neatly with seven horizontal grooves. The slightly domed cover is carved with two circular grooves and topped with a bud-shaped finial. 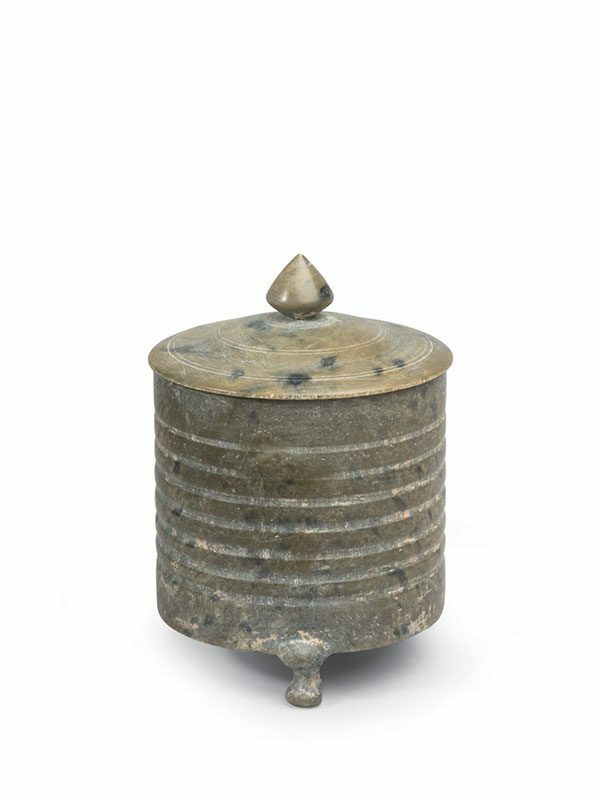 The greyish green material is flecked all over with black inclusions and is polished on the outside of the box only.